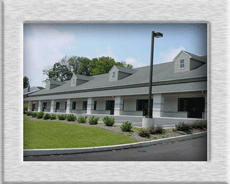 InnerView Ultrasound is located in Malvern, PA at 365 Lancaster Avenue - just 1.5 miles from Route 202. We are an easy drive from Wilmington, DE and a short distance from such other locations as Christiana, King of Prussia, and Philadelphia, PA. Our facility can be easily accessed from many major roadways including Route 202, 100, 29, and the Pennsylvania Turnpike. Abundant parking is available directly in front of our location. Hotels, shopping, and fine restaurants abound in this Philadelphia suburb. Extra attention has been paid to every detail of comfort and luxury. 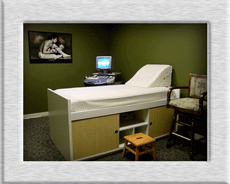 InnerView Ultrasound is more reminiscent of a day spa than a physician's office. A 60" high-definition television allows guests to be entertained while mom completes the necessary paperwork prior to her scan. The InnerView Ultrasound scan room is a multimedia feast. Besides the typical monitor that is connected to the ultrasound equipment, there are two additional ways for mom and guests to view every aspect of the scan. A wall-mounted, flat-panel, LCD monitor allows guests the exact same resolution as the technician; so no detail of the viewing experience will be missed. If that wasn't enough, the entire scan is being projected onto a brilliant 60" screen. InnerView Ultrasound has made every effort to ensure that mom will not miss a moment of the experience. Should you need specific driving directions to our facility, please call us at (610) 408-9100 or e-mail us and our staff will be happy to assist you. "We drove four hours from Northern Virginia to get our 3D/4D images done at InnerView Ultrasound - and it was well worth it. The facility is amazing, and the room we were in was so luxurious and soothing. It really made the experience a memorable one. We have already recommended their services to all of our friends!"